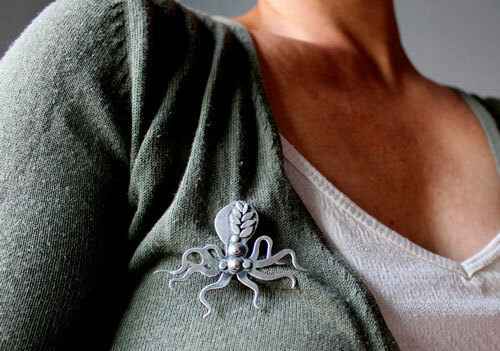 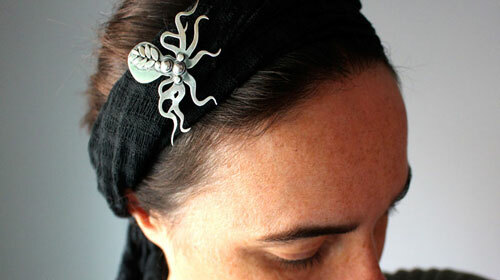 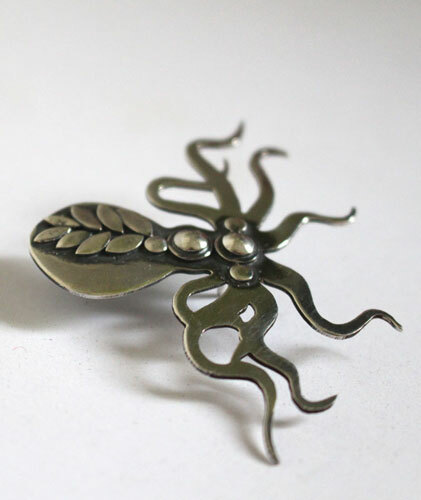 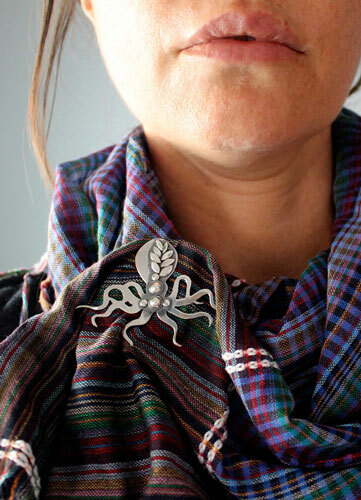 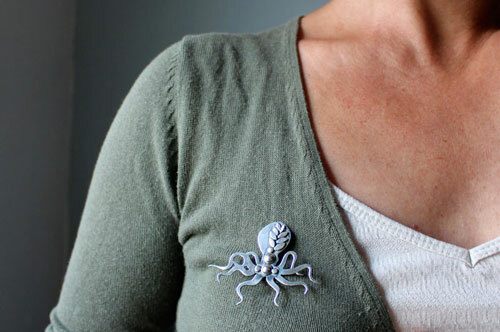 Mr Octopus is not a conventional brooch. 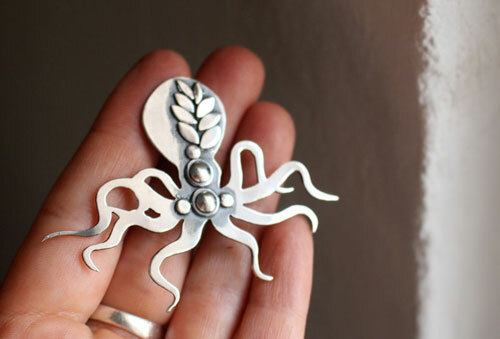 I am largely inspired by the Miyazaki spirit when I make this kind of jewelry. 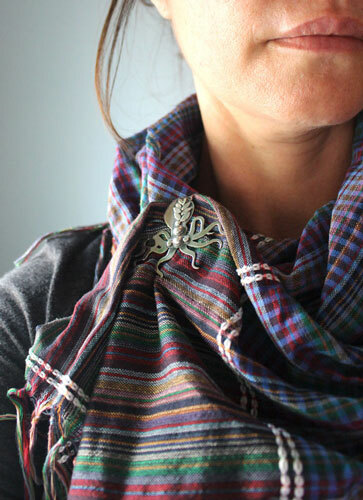 This octopus will be the ideal accessory to start a conversation with someone or if you like that your style is not like anybody else. 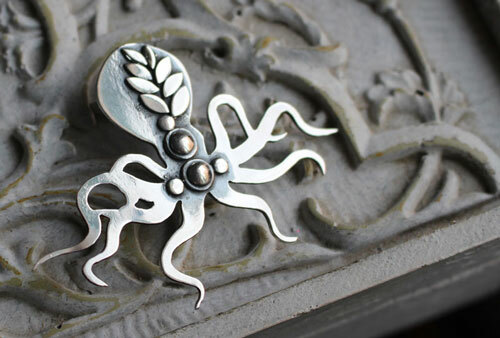 This brooch will be the perfect accessory if you are a person who wants to express his or her own personality.